As memory keepers we’re trained to have an eagle eye for the best moments to capture and preserve in our albums. But life moves so fast it can feel daunting to keep up with all those ideas, let alone scrapbook them all. Did you know that same skills you use to plan your day or keep track of a bucket list can be applied to your scrapbooking hobby? 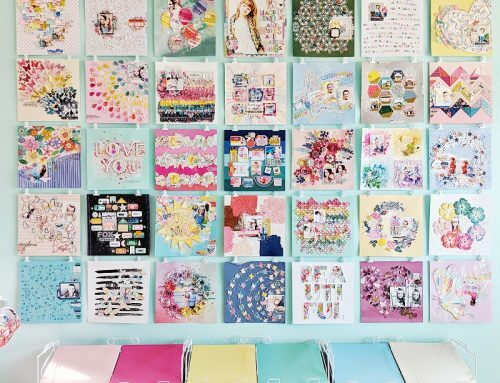 In this post I want to share a simple planning process you can use to organize your most treasured stories and curate them for scrapbooking. Step 1. To begin you need to designate one single location for the stories you would like to turn into scrapbook pages. Just like that spot you keep your keys, maintaining a “home” for your scrapbook page ideas will ensure you always know where they belong. This is a simple concept that can have a profound impact on how you create. While your photos can help you remember what happened, taking a few moments to jot down a phrase or sentence while it’s fresh can help you remember why it is important to you. Notebooks – This doesn’t have to be any more complicated than a spiral notebook you keep just for story tracking. If you want to take it up a notch, use the bullet journaling approach to create a “Stories to Tell” collection. Planners – Whether you use a spiral-, ring-, or perfect-bound style, you can designate a section of your planner that has blank pages just for story tracking. A clipboard can even serve as the perfect at-home planner for printable pages. Digital Tools – If you keep track of projects or tasks in tools like Asana, Evernote, or Trello, you might consider adding a story tracking list to your system. Simple note-taking or list-making apps on your phone can even serve as the perfect hub for your stories. There is no one best system for tracking your stories, but what’s best for you is the one you’ll actually use. Before trying something new, make sure it fits the way you live and create. Step 2. 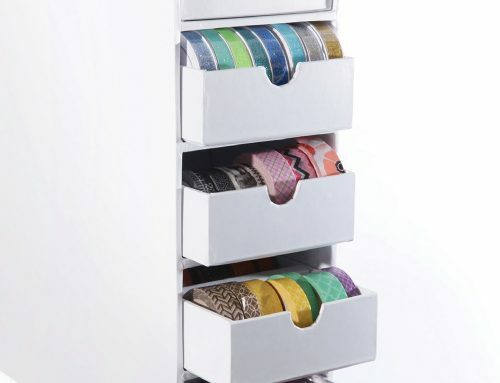 Once you’ve found a home for your your stories, you want to not only keep it handy but add just a bit of organization. What makes sense for most scrapbookers is organization of ideas by album. The majority of scrapbookers keep albums either by date or by theme. The approach you use should be how you subdivide your story tracking. In other words, you want to assign stories a potential album before you ever do any crafting. Organizing stories by album can help you identify what stories you’re most interested in telling and also highlight gaps that you would like to fill. It also takes one more decision off your plate in the entire process of creating a layout. Step 3. What good is a list if you don’t use it? The final step is to turn to the list regularly to inspire your next scrapbook page or project. You can begin to cultivate a habit of recording ideas in this space and relying on it as your to-do list. That said, this list shouldn’t necessarily be considered a “must do” list. It’s a first cut, but some of these ideas may never reach your albums. You may eliminate what no longer resonates and combine other ideas into something larger. Look at your story tracker as a living document that helps you remember the stories that mean the most and guides you from one creative activity to the next. Instead of feeling like you’re spinning your wheels, this paper record will help you visualize the crafting of a library of your most treasured memories. Over the years I’ve discovered how important “emptying my brain” is to feeling grounded in everyday life. The more I organize my ideas and tasks on paper, the greater sense of overall peace I feel. When you invest a little extra time to transfer ideas from your head to paper, managing life’s roller coaster of memories feels so much easier. Want to start organizing all those stories today? Click here to download a free “Stories to Tell” printable PDF from Simple Scrapper. On this planner page (front and back included) you can organize scrapbook story ideas by chronological groups. 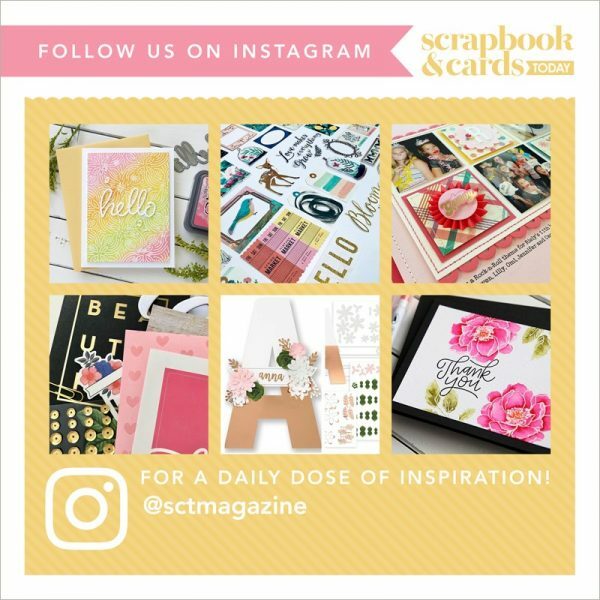 You can also use the code SCT50 to save 50% on the full 2016 Simple Scrapper Planner. This insert collection includes 100 well-designed printable planning pages for memory keepers in five size options. Code is not valid on previous purchases and expires on March 31, 2016. Jennifer Wilson is an educator and coach dedicated to helping women simplify their scrapbooking hobby. She is the founder of Simple Scrapper, a community offering purposeful tools and support for joyful, uncomplicated memory keeping. I have a notebook that I keep with me at all times. When I take a picture I write in the notebook the 5 w’s! That way when I am ready to memorialize the photo I know all about it without trying to remember important details! TFS! Thanks for bringing this to everyone’s attention! I’ve been tracking my kids stories since I opened my scrapbooking store back in 2003 and my life with 3 kids, hubby and his home-based business and the store…it became very busy! I’ve always used a calendar journal and I take it with me every time I scrapbook! Now, with the new planner craze, the planners are a great place to keep those stories and little things you don’t want to forget! With the help of project life and my calendar journal, I usually get over 300 photos scrapped on crop wknds…but I’m a photographer so that’s hardly a dent in my photos lol. I’m still scrapping 2006 ? Jennifer, I would love to learn more on how to incorporate the planner inserts into my scrapbooking life. Can you please email me with more info about this! This is great – thanks Jennifer! Claudia, I suggest that you look into a Simple Scrapper membership … Jennifer keeps us all inspired and organised to create! Great tips Jennifer! Thanks kindly. I just finished Photo Crush with you and others thus I am not surprised to read again your focus on organization and more importantly, organizing your pics, thoughts etc at the time not weeks down the road when the memory is fuzzy. Claudia, please feel free to reach out to help@simplescrapper.com with any questions you have about the planner.